Castlegar is home to an impressive network of trails and thrives with rich heritage. Learn about its culture at the Doukhobor Discovery Centre and Station Museum. Mountains of Opportunity - Cranbrook is the largest community in the region and the commercial centre for the valley. The beautiful Creston Valley stretches from the city of Creston, north along the Kootenay Lake to the villages of Crawford Bay and Gray Creek. Sparwood is the gateway to the region from Alberta on Highway #3 and Elkford, a scenic 30 minute drive north is Wild at Heart and offers two majestic wilderness parks. Just north of Columbia Lake, Fairmont Hot Springs Resort offers their therapeutic mineral pools. The area also includes a good selection of overnighting options. Fernie is the largest and oldest community in the Elk Valley and is home to a fine selection of accommodation properties. Enjoy Golden and everything it offers. From authentic mountain lodges to slope side sophistication. Field is a short distance east in Yoho National Park. Invermere on the Lake is a small, friendly town situated on the shores of Lake Windermere. Minutes west of Invermere is Panorama Mountain Resort. 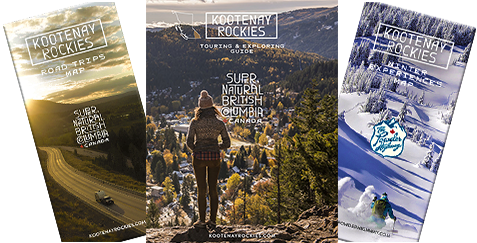 Picture perfect Kaslo, alongside Kootenay Lake offers an array of shops and galleries featuring the work of local craftspeople and the historic Victorian-style Kaslo Hotel. The city of Kimberley is set on the western slope of the valley with the Purcell and Rocky Mountains on either side. Nakusp is the historic hub of the Arrow Lakes and offers three wonderful hot springs and a quaint downtown. On the west arm of Kootenay Lake, the rich mountain cultures of Ainsworth, Balfour, Kaslo, Lardeau, Meadow Creek and Nelson boast great dining and lodging options. The village of Radium Hot Springs is the gateway to Kootenay National Park and home of the Radium hot pools. Close to Heaven, Down to Earth. Revelstoke has a history that is deeply rooted in the Canadian Pacific Railway. Rossland is Canada's Alpine Town. Mountain lovers flock here for the skiing in the winter and mountain biking in the summer. The many towns and villages such as New Denver, Sandon, Silverton, Winlaw and more, are some of the most interesting places to explore in the region. Trail is located on the banks of the Columbia River, flanked by the Monashee Mountains to the west and the Selkirk Mountains to the east.